The estimable Mr. Leif Peng has very kindly allowed this week's installments of Today's Inspiration to be given over to some shameless self promotion so before we begin I want to apologise in advance for such naked hucksterism. 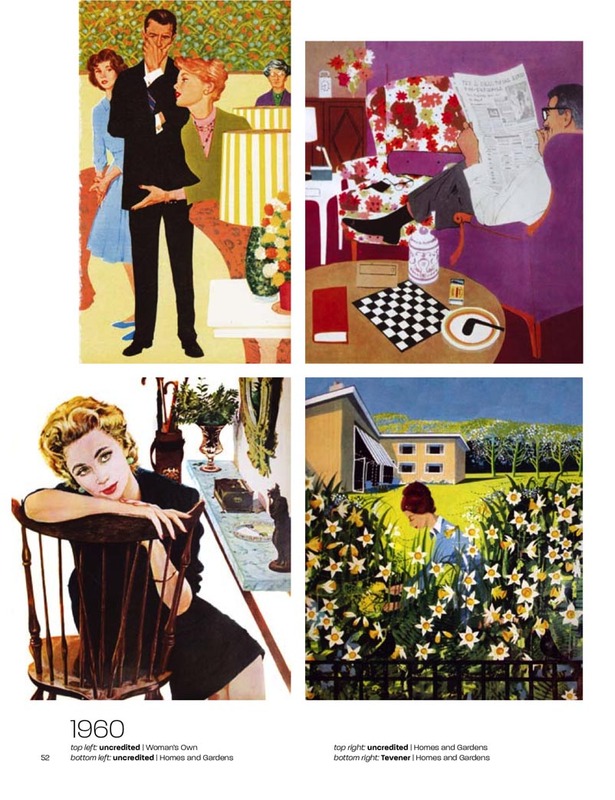 ... just released in the UK and Europe by the new publishing house Fiell, which collects together the very best story illustrations from British Women's magazines of the '60s (including such titles as Woman , Womans Own, Homes And Gardens and Womans Mirror). 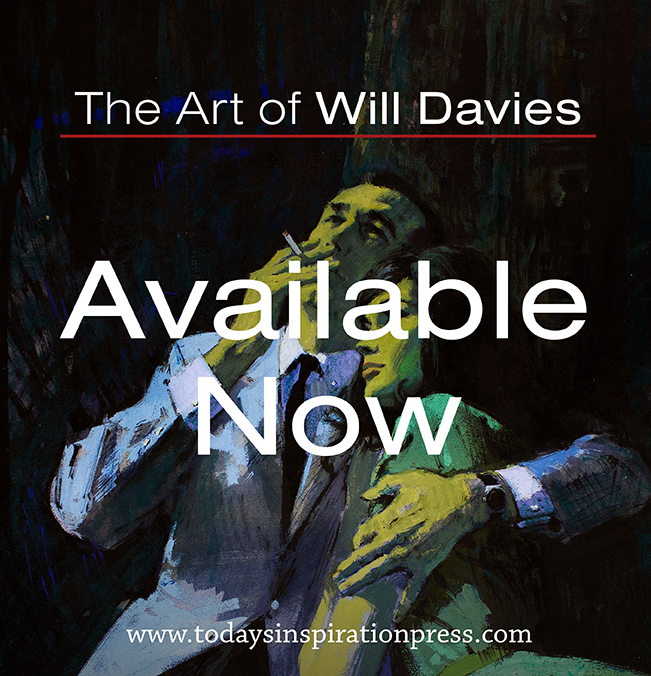 Like their American counterparts the British magazines commissioned the best artists of the era including many of the top US talents and as far as I know this is the first book anywhere in the world to anthologise this most neglected area of illustration. Or to put it another way, it is basically Today's Inspiration in one big, thick volume. This book was written for people like us. A signal of the tide turning perhaps? I'm eagerly awaiting my copy in the post. I believe there's a 50's era book slated to be released in the fall from the same publisher. Oh!No! It's all coming back !! !Being 12 at the time, I use to nick my mum's copies of Woman's Realm, Womans Own, etc. as they had reprints from the US magazines such as Redbook. Much copying followed and I still use some their techniques with the then new fangled acrylic paints today. I suppose I will have to dip into the pension fund and purchase a copy. Long overdue! 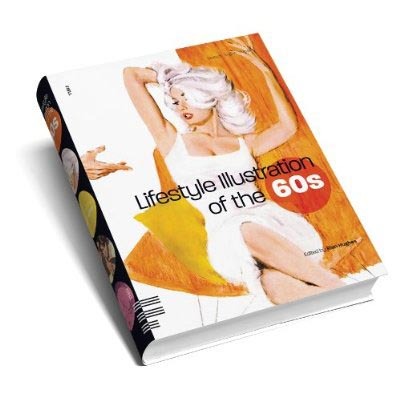 Well done David for putting this together, I'm just about to order it.There were some top British based illustrators of this era like Fancett Zelinski Phillips etc, is their work included? I've never been able to find out much -if anything- about them or their careers. I thoroughly enjoyed your war picture library books. Thjis is EXACTLY the kind of artwork I love. It sounds like a fantastic volume. I think I know what I'll be getting for my birthday! You are forgiven. It is always a pleasure when books about great illustrators/illustrations are released. David, I can't wait to see more of this book. It looks so beautiful! Any chance you or Mr. Hughes will be at San Diego Comic-Con this week? I don't see the publisher listed anywhere, and I was hoping to pick up a copy at the show. Stephen; The publisher's name and link is in the copy of today's post - take another look at the text above. You can also order the book at the Amazon link at the end of today's post. Thanks, Leif. I meant I hadn't seen it listed in the exhibitor listing for Comic-Con. Whoops. Oh! I am going to have to pick this baby up. Gorgeous! I will be ordering this! As always, thanks for sharing. I was going to chip in about the UK artists included, but I see David's got there before me... Thanks for the positive feedback. One of the difficult things was ensuring the images were colour correct - they're probably fourth-hand, so all manner of coulour shifts may have occured. (Original, transparency, printed page, scan - and then printed again! 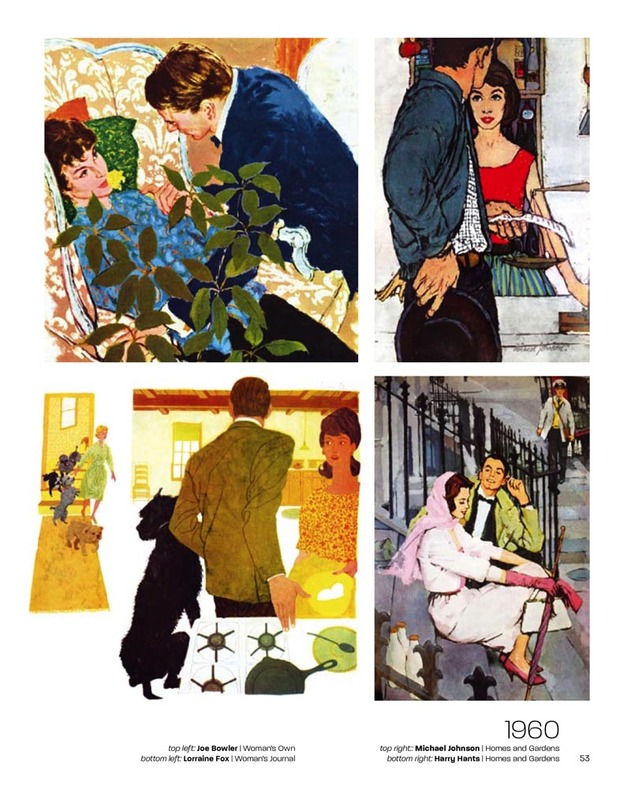 )The colours of the originals were sometimes pretty unusual too - take the Lynn Buckham in the intro, for example. Blue faces?! I'd have thought I'd have needed to shift the cyan a bit if I'd have been working from a printed version in this specific case. So I hope I did the artists justice in my cleanup... but only comparisons with originals will tell. I'm working on the 50s volume now. Loved both of those books and highly recommend them to any fans of dynamic art. John Raynes, who's still going today did some of this work but on the whole these artists are mostly forgotten in the UK.At the time they were working I think 'fine' illustration was given attention but 'popular' illustration was considered slightly shabby and not worthy of recognition.Francis Marshall, by virtue of his fashion work was something of an exception.The Radio Times illustrators were also considered respectable and worthy of notice. Anyway, perhaps this book by you and Ryan may start to redress the balance.Good Luck. 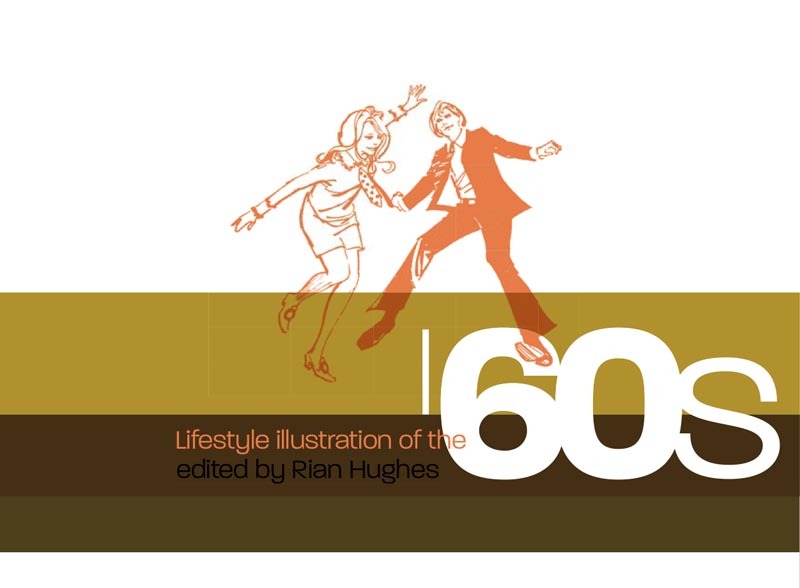 It's funny because I used to really dislike the 60's look when I was a kid (too harsh, too rough and scratchy, too uncompromising), but now I can't think of anything more modern. This is definitely on my wish list! Like Chicofrank I used to look at these illustratioms in my Mums Womans Own etc I especially admired Eric Earnshaws work ! I love this book! Not much text but hundreds of pages of illustrations. Takes a good hour or so every time I flick through it. The best $50 I have spent on a book.